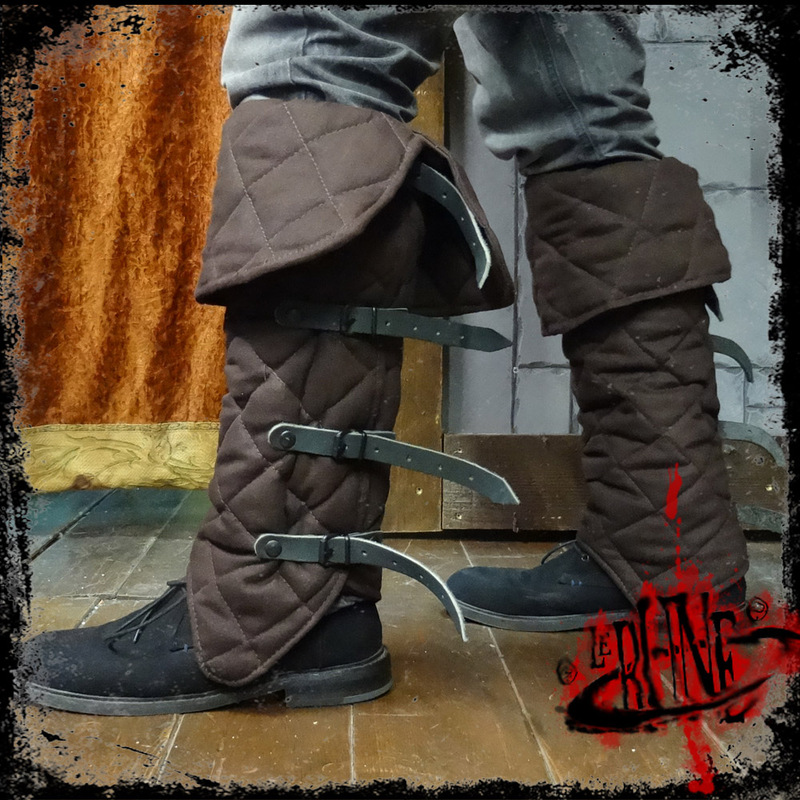 This wonderful piece of costume is produced from high-quality canvas cotton, and is finely padded. 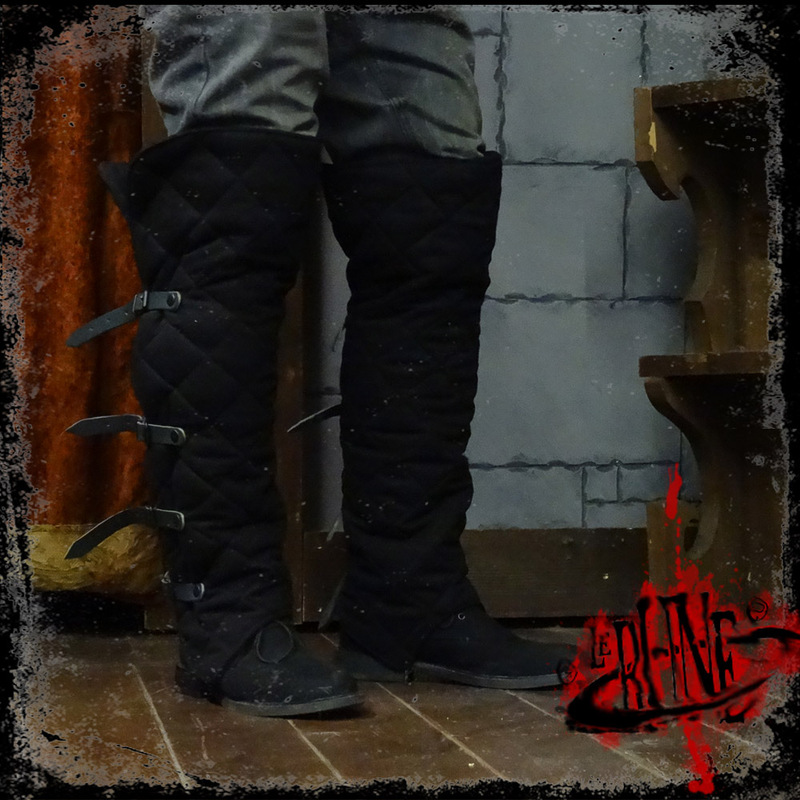 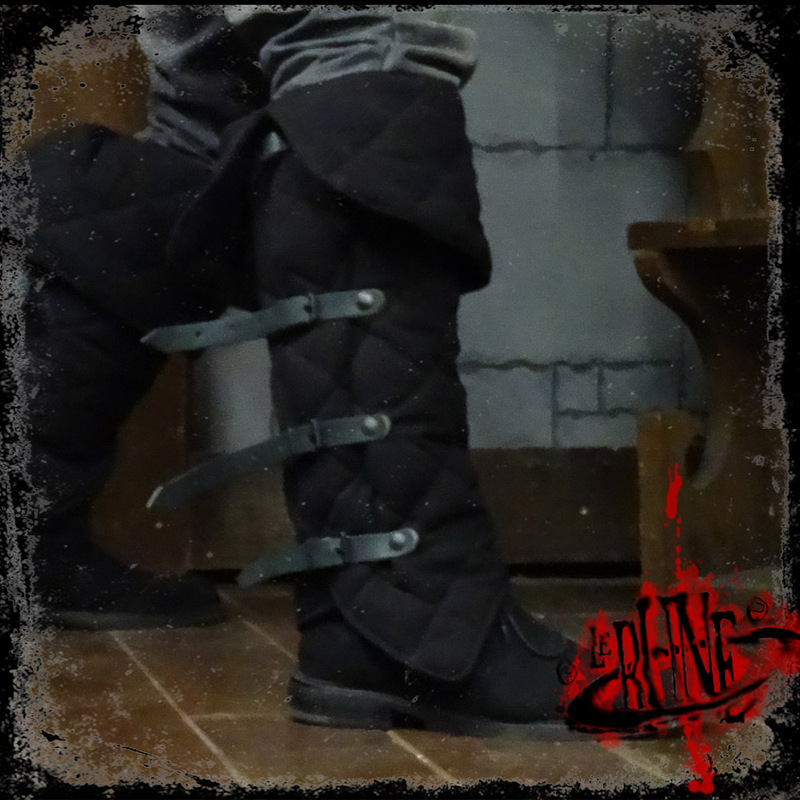 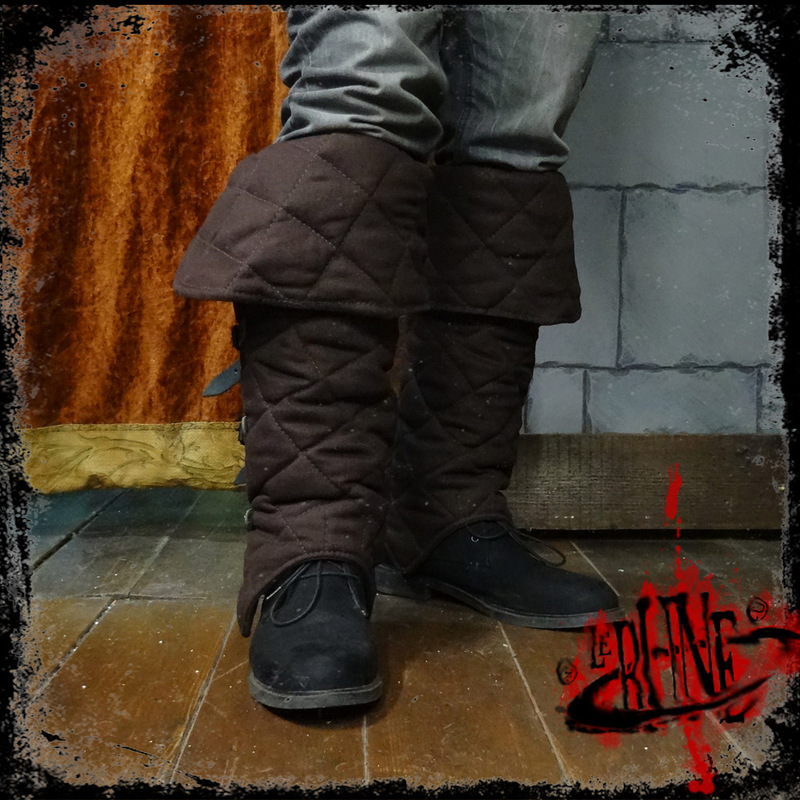 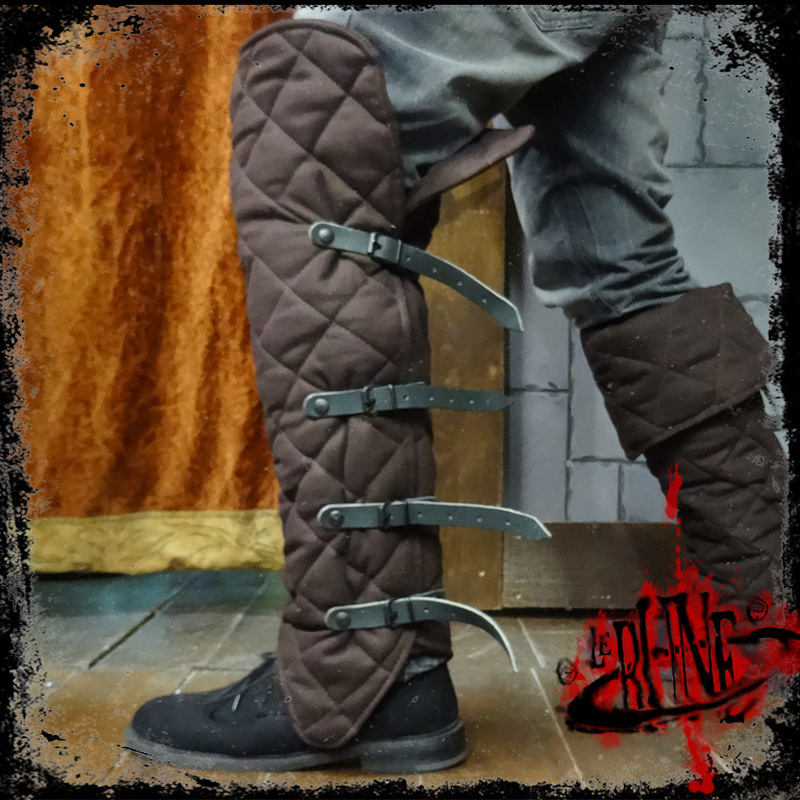 The Kadath padded gaiters will cover far over the knee, but can be cuffed to get a an amazing look. 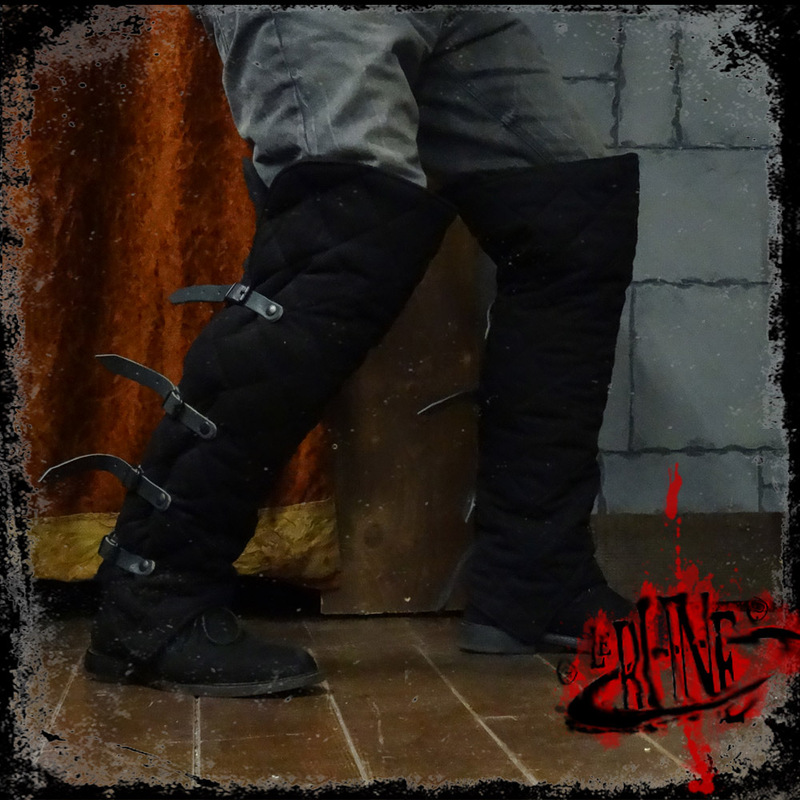 The padded gaiters Kadath can be worn under metal greaves, giving it more wearing comfort. 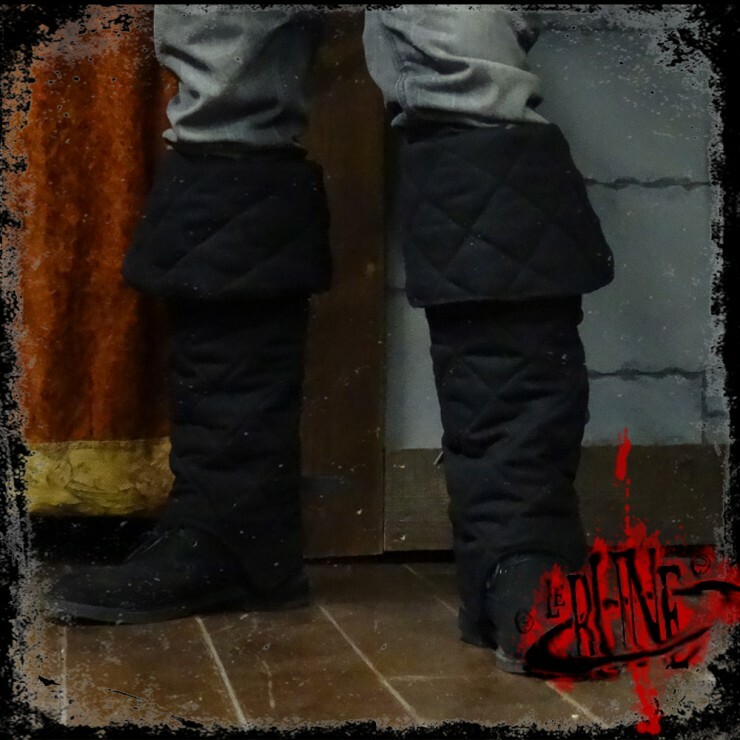 They can, however, be worn as a stand-alone garment, as they are a really nice piece of costume.